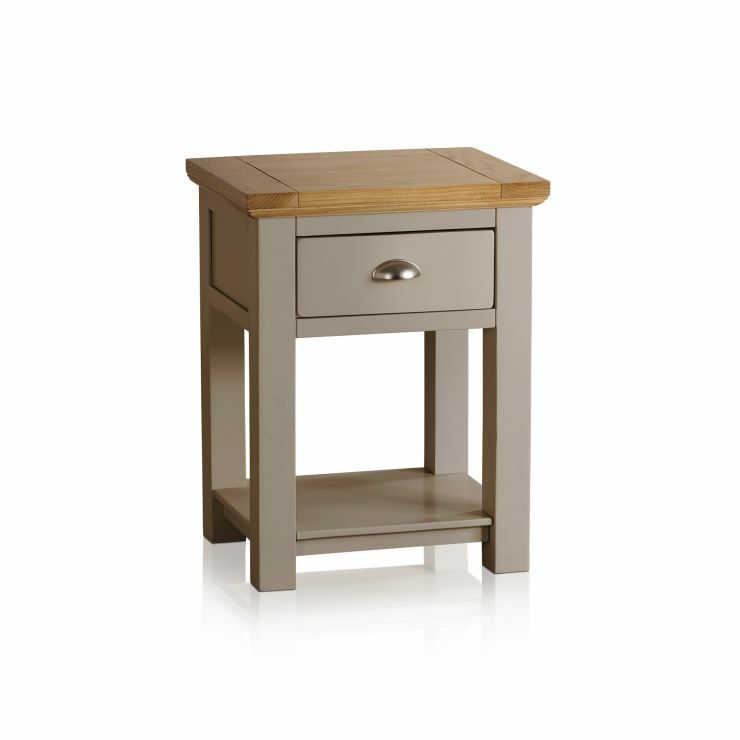 Bring some of St Ives’s beautiful painted solid hardwood into your home with this useful lamp table. 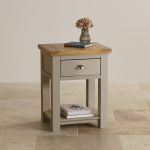 Use it to good effect to help light up a corner, and hide away a book or remote in the handy drawer. Use the lower shelf to display a favourite collection, or just hold a magazine or two. 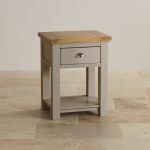 The lamp table is one of Oak Furniture Land’s smaller pieces of furniture, but it’s made with the same care and attention to detail as the rest of the range. 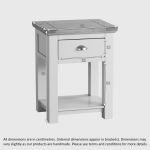 Dovetail joints are used in the drawer’s construction, with solid hardwood back, base and sides. Have a look through the rest of the matching St Ives range to see how the lamp table can make part of a whole look in a room.